Divorce Angels users will receive a one half-hour complimentary individual consultation/coaching (value $80). Plus if they sign up for a Finding Your Truth Workshop they will also receive $25 off an individual coaching session with either David or Sharon after the workshop they attend to help integrate and process the changes they made. David supports individual’s spiritual and personal growth as a shaman and coach. He has extensive experience as a coach, mentor and senior business leader. He is an ICF certified CTI Life Coach and Certified Divorce Coach. David worked for over 20 years as a VP Land in the Calgary Oil patch and prior to that worked in both Banking and Education. He holds two degrees from the University of Alberta. Sharon has worked in senior leadership roles in HR, H&S and Communications in many industries across Alberta. She is a founding partner at OnPurpose Inc. (formerly RainTree Consulting Ltd.) where she provides strategic advice, coaching, facilitation and HR programming to companies and leaders. With a B.Comm and MBA Sharon is also a CTI coach and certified Forzani Business Coach. Both David and Sharon were challenged by divorce. To help them through this transition they individually sought out the Rebuilding Program. Over the years they worked together to understand their personal truths. 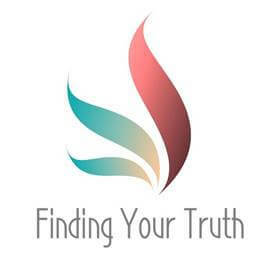 In their search for a deeper connection with self and in collaboration with Maya Roi (author of You’re on the Verge of Something Big)they created the Finding Your Truth Program. They want to share with you, how to accelerate your individual healing process. 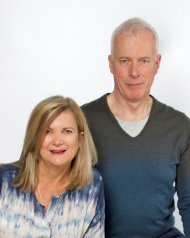 Now married for over 14 years both David and Sharon bring their personal experience and professional knowledge of coaching, facilitation and leadership to the Finding Your Truth programs that help individuals on their journey through divorce or separation. The Finding Your Truth program was designed specifically to help individuals recover from the ending of a love relationship. Finding Your Truth takes you through an in-depth process where you open to vulnerability and discover some personal truths. The program will provide you with the knowledge, skills and tools you need to turn suffering and pain into strength, strategies and hope; rediscover you! This program will help you bring unconscious patterns, that no longer serve you, into your awareness so you can make different choices for your future. Divorce Readiness assessment. Are you ready to divorce? Divorce Preparation workshops to assist you in being a credible client with your legal team. Divorce coaching guiding you through both the emotional roller coaster of change and assisting you through the process of understanding what’s to do and getting it done. Finding Your Truth – Life After Divorce workshops that help you find your truth and move forward to a happier, healthier you. Not ready to divorce yet? Want to give it one last effort? We work with couples who are struggling. Our approach teaches you how to communicate with each other, find common ground and decide, together, what’s right for you. David and Sharon work with individuals going through the challenges of divorce who don’t feel that they have anyone on their side. Going through separation and divorce is draining; emotionally, financially and spiritually. If you don’t know what to do next and are overwhelmed; you need someone to talk with, to walk with you through the process; they can work with you to help you gain confidence, formulate goals and become more effective in your communications. As your thought partner/trusted advisor they will work through the stages of your divorce so that you are empowered to live the life you want.